With the Christmas party season now being in full swing, I've been finding myself on the lookout for false lashes more and more when pulling together makeup looks. 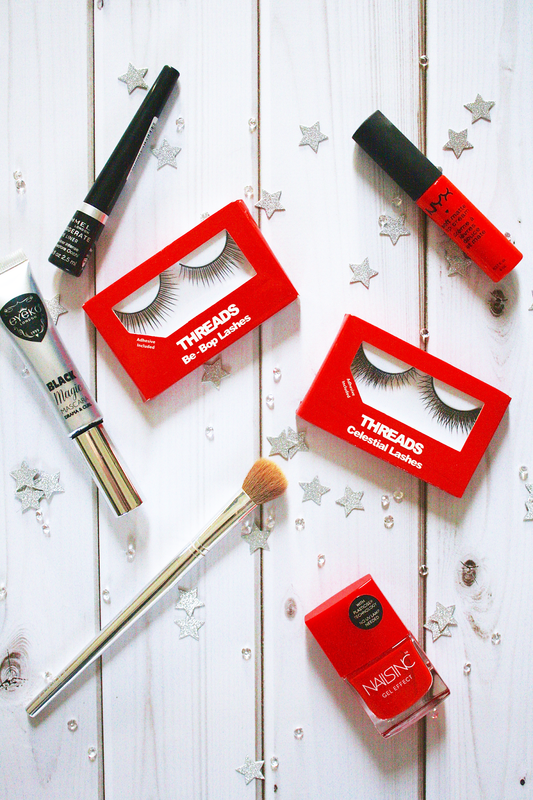 Admittedly, I never usually stray from Eylure's false lashes and Fleur De Force's collaboration range with them until I was recently sent 2 sets to try by Threads Beauty, a brand which I hadn't heard of before. Along with false lashes, they also have their own range of eyeliner, brow pencils and hair colour treatments, but admittedly its the false lashes that I liked the look of the most. 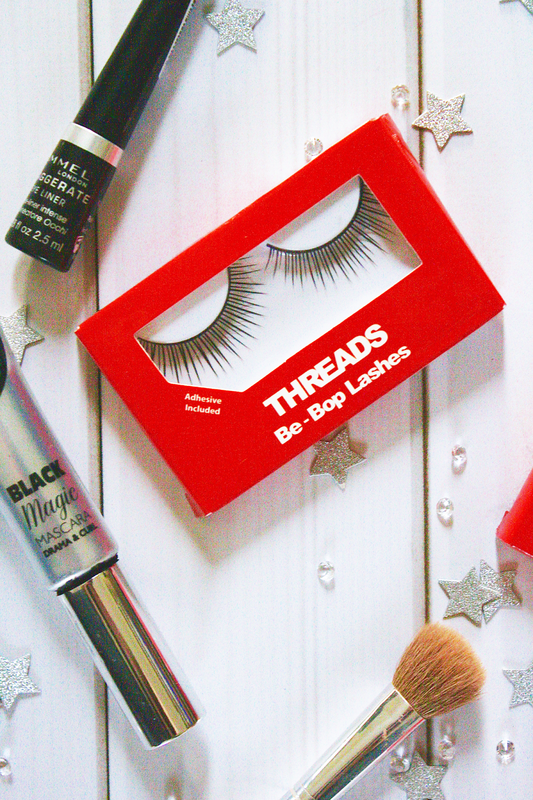 I was kindly sent their Be-Bop* and Celestial lashes* from the Angel Lashes collection which retail at £9 per set; one thing I immediately loved was how wearable & versatile both sets were. 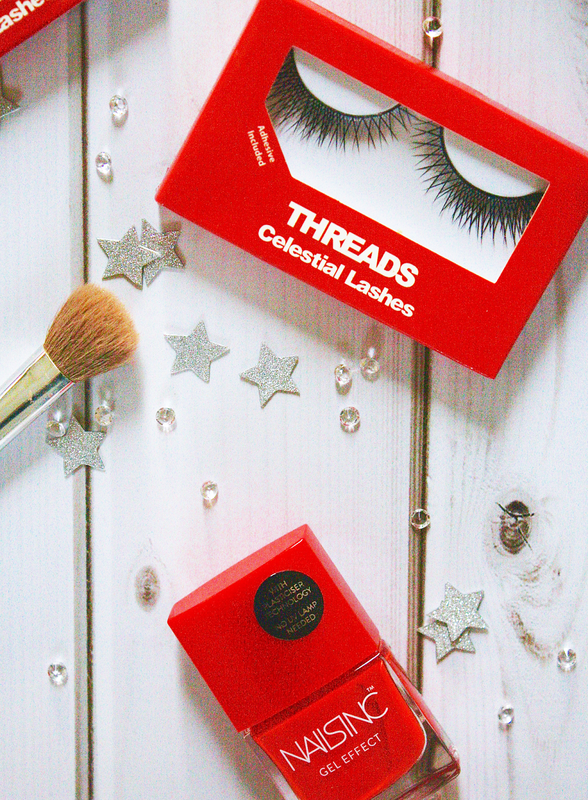 Although Celestial is the more 'loud' option of the two with its slightly more bold texture, the individual lash strands are still dainty enough in my opinion to be worn either for a day or nighttime look. Both of the lash sets are very light once applied and they have a tailor-made flexible lash band to ensure they are comfortable when worn for longer lengths of time. I also really like the concept that the Angel Lashes range is handmade by the brand and that they were fragrance and latex free. From past experience with false lashes and eye products such as liquid liner, I have found that my eyelids can be very sensitive and easily irritated when I have been wearing eye products for a long period of time, which I have previously believed to be linked to latex being in the products. It's reassuring knowing that as the Threads Beauty lashes have been carefully handmade, latex has been skipped out of the production. 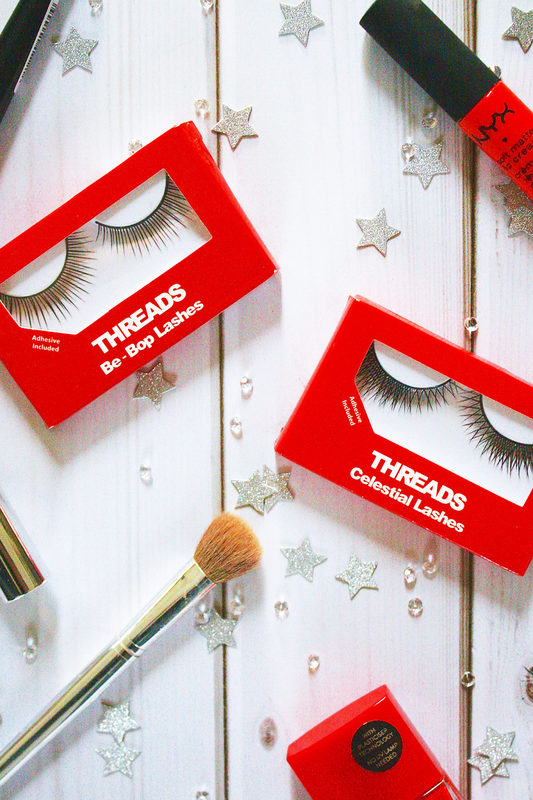 Threads Beauty's lashes are currently available online through their website and would make the perfect addition to any Christmas/New Year's party makeup look, or even as a stocking filler for any beauty-lover this Christmas. they look super pretty !